Bring authentic aesthetics and unparalleled performance to your airsoft arsenal with the Bravo MK98 Sniper Rifle. 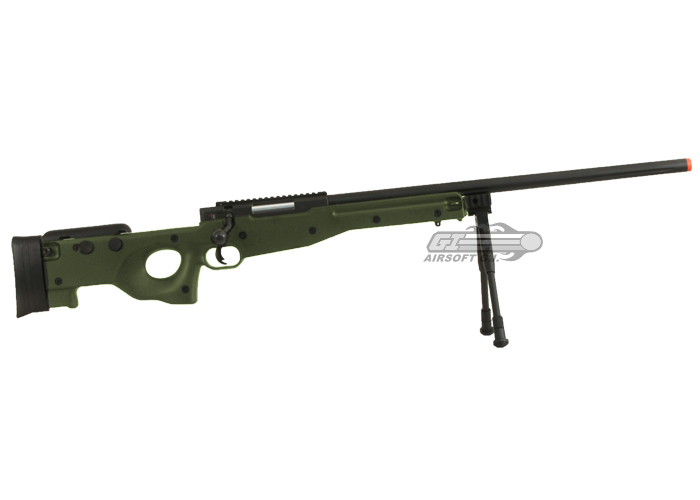 Painstakingly crafted by the industry-leading engineers at Bravo Company Manufacturing, this rifle is based on the real steel L96 bolt-action sniper rifle that has been issued to the snipers of the British Army and other various special operations organizations across the globe. 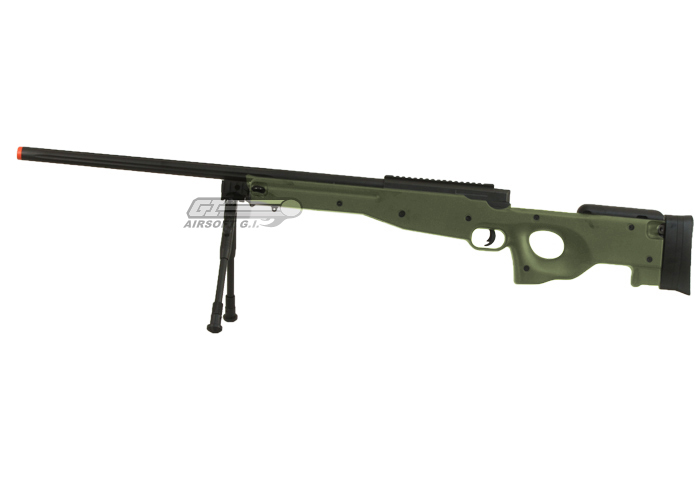 Its detailed green coloration and realistic shaping give it an authentic appearance simply unparalleled in the airsoft industry. Crafted to impress and designed to perform, the Bravo MK98 Sniper Rifle comes ready to turn you into a true airsoft sniper. 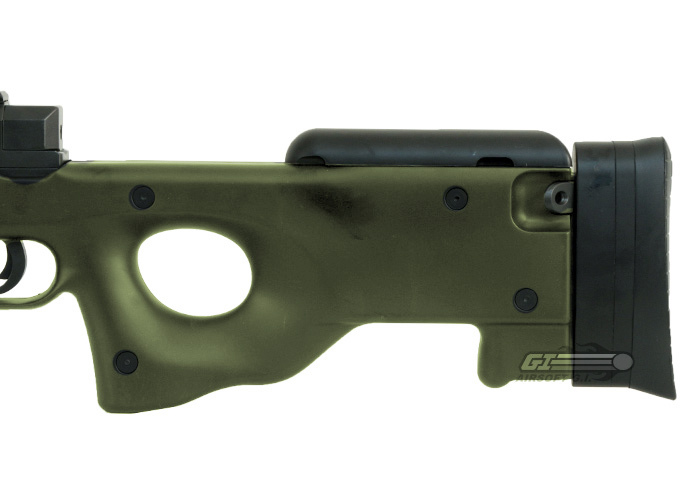 It features a comfortable cheek rest and a tactical rail segment perfect for the addition of scopes or other optics. 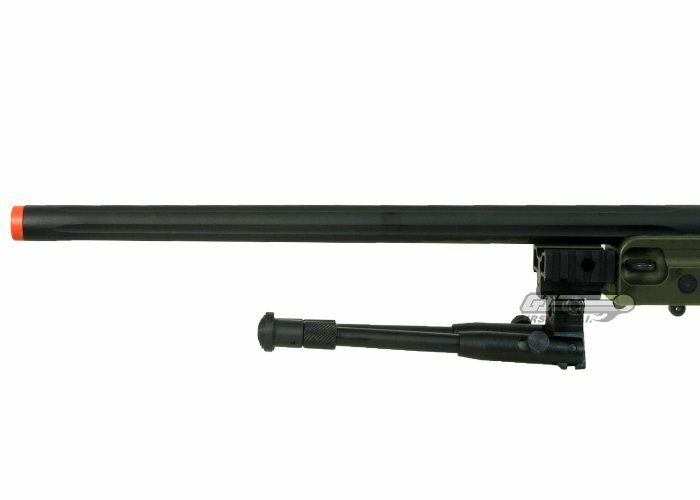 The Bravo MK98 Sniper Rifle also comes with a spring-loaded bipod to ensure that your gun stays stable and shoots accurately on nearly any terrain. 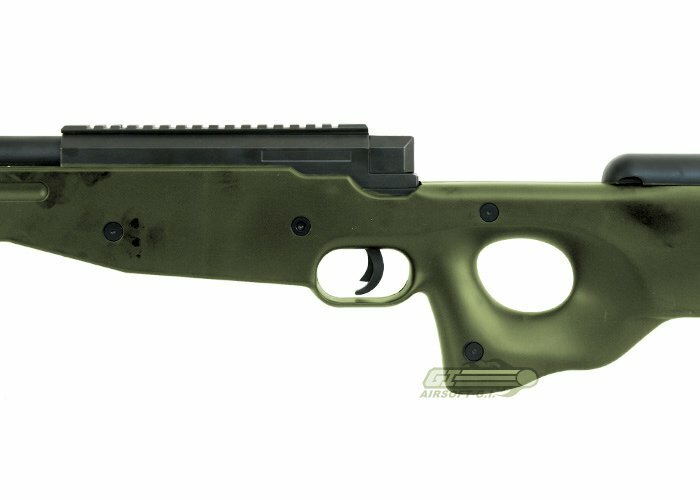 Furthermore, the ergonomically designed grip and stock make this rifle extremely comfortable for the user to keep it trained on target. 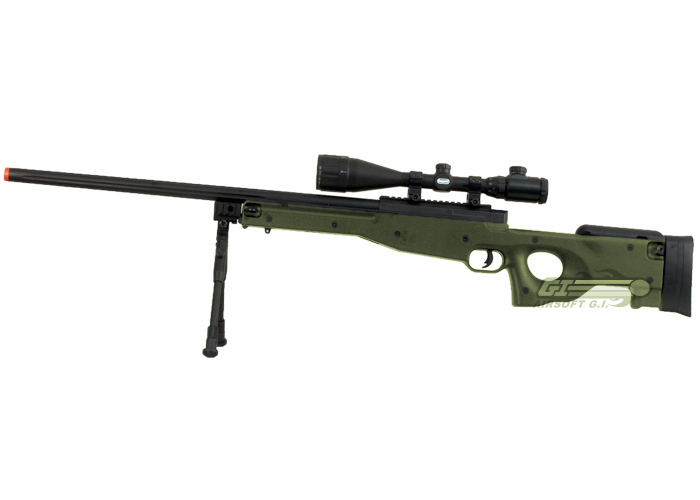 Firing at an impressive 500fps, this airsoft sniper rifle can perform with the best of the best. 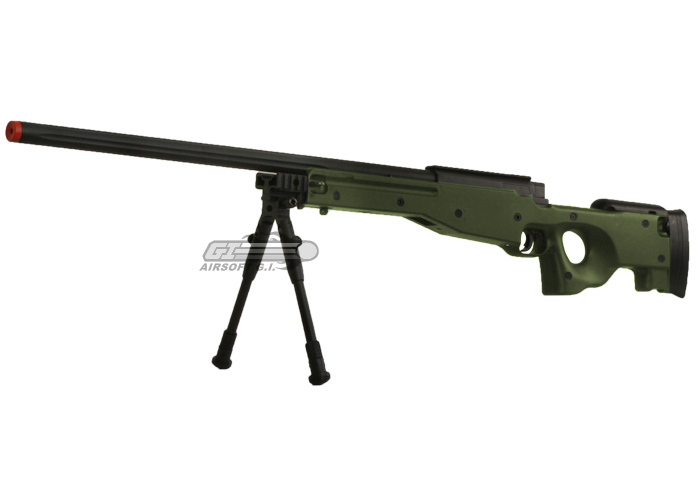 To get you set up and ready to shoot as soon as possible, this Bravo MK98 Sniper Rifle package comes with everything you need to start airsoft sniping straight out of the box. 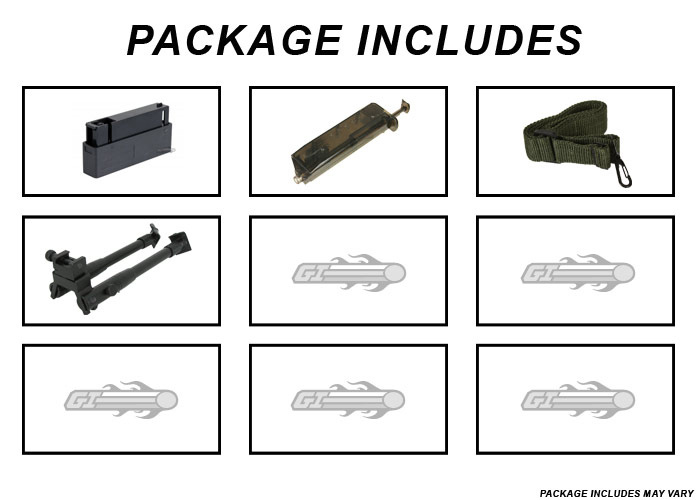 Included in the package is one green Bravo MK98 Sniper Rifle, one 30-round magazine and one bipod. 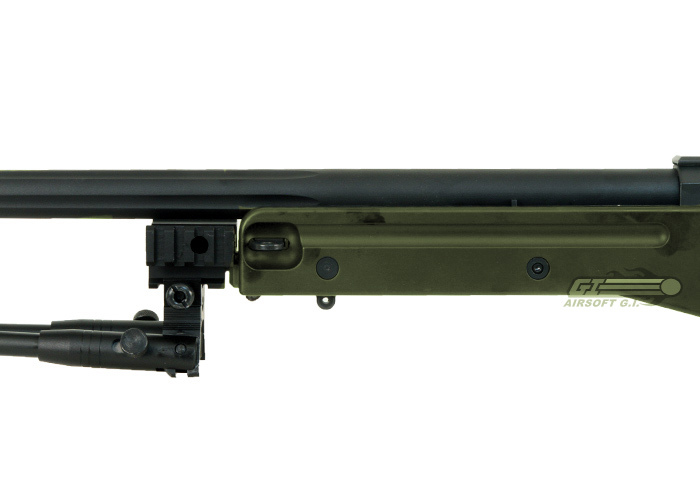 Learn more about the specifications of the Bravo MK98 Sniper Rifle package, and order yours here at Airsoft GI today! This was my first Airsoft sniper rifle, and at first, I was really disappointed. When I took it out of the box, I was really impressed. The weight is really nice, the plastic feels solid, the bolt isn't too hard to pull, and it looks really nice overall. Mine didn't have missing screws for the other guy, so he must have gotten a lemon, mine was solid right out of the box. It shoots hard, but not 500 like it says on the site. Mine was chronoed at 460 before it was sent to me, according to a little slip of paper. Then I brought it out and shot around with it a bit, and this thing was not accurate at all. I was using .25 because I really didn't have any other BBs, but even with lighter BBs, the accuracy was terrible. After cleaning the barrel it still shot horribly, then suddenly out of no where, just about a week ago, it started shooting amazingly accurate, even with .25s. I screwed around with the hop up a bit and now I can hit trees in my neighbors backyard from my roof (about 350 feet). It's been shooting awesome ever since. I feel like this gun is a hit or miss, either the guy before me got a lemon or I got really lucky. 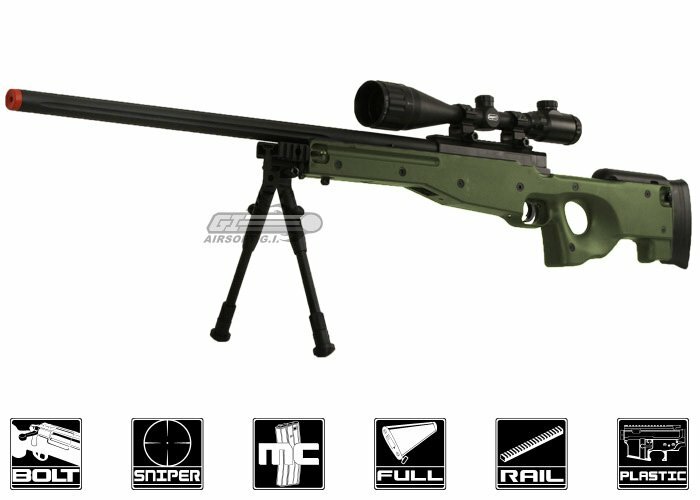 If you want to risk it, get this gun, though I wouldn't recommend it for a first sniper, I was getting ready to sell it because of how horribly it shot. If I wasn't so determined on accepting the gun as a good gun, I would have sent it back right away. Hop-up was in front of mag release and was hexagonal bolt. Yes this gun is Canada Compliant. Which gram bbs to use? .36 should be good, however heavier bb's will only increase the accuracy. does it shoot 6mm bbs? This is designed for use with 6mm bb's.